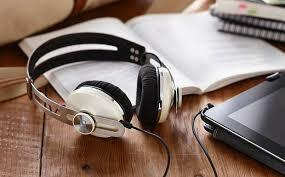 Listening to music at work increases accuracy and speed, a new study has found. The genre you should choose, from classical music to dance beats, depends on what your work involves. They say that listening to Mozart makes a person smarter, but a new study shows that it’s not only classical music that boosts mental activity. Nine out of 10 workers perform better when listening to music, according to a new study that found 88pc of participants produced their most accurate test results and 81pc completed their fastest work when music was playing. “The take-home message is that music is a very powerful management tool if you want to increase not only the efficiency of your workforce but also their mental state, their emotional state – they’re going to become more positive about the work,” said Dr David Lewis, a neuropsychologist and chairman of Mindlab International, the company that conducted the research. For the experiment, 26 participants were given a series of different tasks five days in a row – including spell-checking, equation solving, mathematical word problems, data entry and abstract reasoning. The workers completed these tasks while listening to one of four music genres or no music at all, to see which had the greater effect on accuracy and speed of correct responses. he study, which was conducted in September by Mindlab International on behalf of MusicWorks, the joint campaign from music licensing companies PRS for Music and PPL, found that participants made the most mistakes when not listening to any music at all. “Music is a key tool for business success,” said Christine Geissmar, operations director at PPL. Here’s what you should listen to at work. Workers were better at solving mathematical problems when listening to classical music, which improved accuracy by 12pc compared to listening to no music at all. Classical music was also the second best genre for general accuracy and spell-checking, the study found. Participants listening to pop music completed data entry tasks 58pc faster than when listening to no music at all. Pop was also found to be the best music genre for spell-checking quickly, and, alongside dance music, produced the fastest overall performance for getting work done. It cut mistakes by 14pc, compared to not listening to music. Famously described by the musician Brian Eno as needing to be “as ignorable as it is interesting”, ambient music led to the highest level of accuracy for respondents completing tasks involving equations. This genre resulted in the highest overall accuracy and fastest performance across a range of work tasks. Participants listening to dance music produced more accurate results in spell-checking, solving equations and tackling tricky mathematical word problems, increased proof-reading speed by 20pc and and were able to complete abstract reasoning tasks more quickly. So next time you see your headphone-clad colleague nodding in time to a dance beat, don’t judge: they’re probably working better than you are.